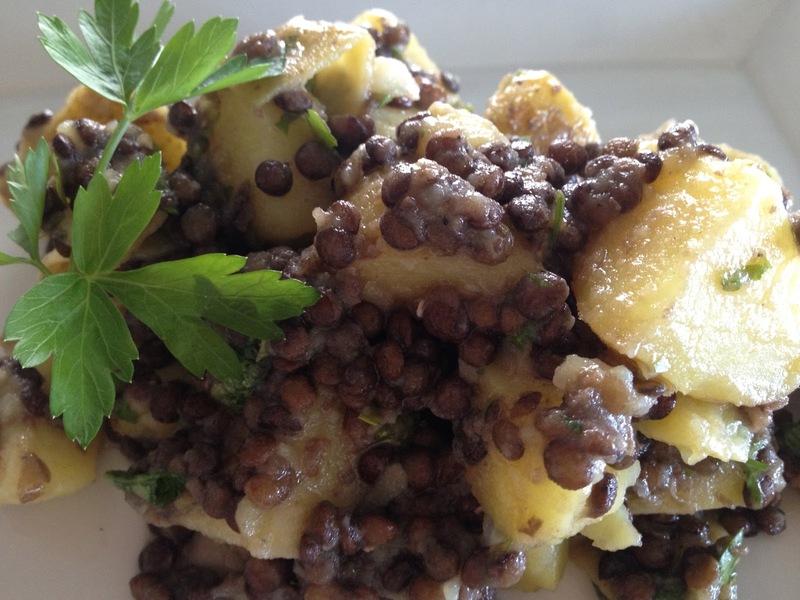 This dish is the perfect equation: lentils + potatoes = hearty + light. Cook the lentils. Cut the potatoes into pieces and boil until fork tender. Chop the parsley. Whisk the dressing ingredients together in a big bowl. Drain and pour the potatoes, lentils and chopped parsley into the dressing bowl. Toss and eat immediately. Enjoy! Pingback: A Final TILT for Vegan MoFo – Things I Loved – Soup, Salads, and Pumpkins. | meshell in your city.